Are you planning an NC500 camping trip? In this article, I go over some of the best North Coast 500 campsites and wild camping spots. They combine ultimate beauty with road-trip convenience. Looking for the ultimate road trip? The North Coast 500 is Scotland’s answer to Route 66 and has been described as the perfect road trip. Covering 500 stunning miles of Scotland’s coastline, you can experience the majestic scenery on a grand scale whether you’re travelling by car, motorhome or camper van. There are some campsites in remarkable locations that will take your breath away. Be sure to check they’re open out of season if you choose to make the trip during the autumn/winter time of year. On your trip, expect to be snapping away with your camera at every turn – you’ll not be short of photographic opportunities. There are some flawless NC500 camping locations if you prefer wild camping and really want to get back to the heart of nature. From Inverness to Ayr, the ever-changing landscapes provide an incredible backdrop wherever you choose to pitch up. Here are a few suggestions that would fit into any itinerary, whether you’re looking for adventure or just to get away from it all. Although it can seem to sit alone in the North Sea, Orkney has a bustling capital. Wild camping is allowed in Orkney, just as it in the rest of Scotland as long as you follow the Scottish Outdoor Access Code. With some of the wildest and most dramatic coastlines, island hopping here is an exhilarating way to discover untouched nature at its finest. Hoy’s west coast offers stunning views over the Pentland Firth and the Atlantic Ocean. If you want to pitch your tent here, you’ll be rewarded with a truly remote wild camping experience. Shetland is famous for its large sea stacks named ‘The Drongs’. Braewick Cafe & Caravan Park offers a place to stay with beautiful views of this natural phenomenon. The café offers a menu full of local produce and there are local shops selling knitwear to keep you warm in the rugged outdoors. There are scheduled ferry routes from the Scottish Mainland to the Inner and Outer Hebrides. Lickisto Blackhouse Camping is a low impact campsite based on the Isle of Harris. If you’re looking for wild camping places and solitude, then this small and friendly NC500 campsite is ideal. It even offers access to an original Blackhouse with heather thatch and underfloor heating. This is a region of other-wordly landscapes and lochs that are an exceptional assault on the senses. This region offers some spectacular trails but, be sure to remember how remote you really are. The Highlands has Loch Ness at its centre, overlooked by the ruins of the medieval Urquhart Castle. Applecross has a coastline ideal for sea canoeing and kayaking with plenty of places to embark and disembark giving you a different view of the landscape and wildlife. If you want to relax and enjoy some live music, this area is guaranteed to fit the bill. It’s also a great base to explore from as there’s easy access to the Isle of Skye, Torridon and Gairloch. Gruinard Bay is a campsite in an area of outstanding beauty, which is certainly something when you consider the other landscapes available. With a beachfront park, the amenities include a post office, grocers and petrol station so you can stock up on all the essentials. This landscape is also known as the Flow Country – a large blanket bog consisting of both peat and wetlands. This is a landscape that was shaped by ice and water and is ideal if you like getting back to nature. Wick Caravan and Camping Site overlooks the River Wick and is surrounded by trees. Although it’s secluded, it’s just a 5-minute walk from the local town of Wick. There are shops, restaurants and even a swimming pool if you want a change of scenery. Scourie Caravanning and Campsite in Sutherland is perfectly placed to explore the North Highland Coast, Handa Island, The GeoPark, Cape Wrath and Durness. Handa Island is home to 115 breeding pairs of Puffins and there are daily ferries rides over to the Island. Being so close to the sea, the local Shorehouse Seafood restaurant offers daily specials which are totally dependent on what was freshly caught on the boat that day. Sutherland is also popular with walkers and hikers as it is home to Suliven Mountain. It stands at a “mere” 2,389ft high and the name is said to come from the Norse for “Pillar Mountain”. If you want to venture off the main route, the Black Isle is the perfect stop off – just a short drive from Inverness. It’s more of a peninsula than an isle and offers the best places in Scotland for an incredible opportunity to spot Dolphins. The area has also become famous for its organic beers, produced at the Black Isle brewery, where you can sneak in a crafty tour. Rosemarkie Campsite is nestled between the beaches of the Moray Firth and The Hills. A short walk along the sand takes you to the magically named Faerie Glen falls. Alternatively, you can take a short walk to the lighthouse which has the best views for dolphin spotting. There are pitches for both tents and caravans/motorhomes and many provide gorgeous views over the Moray Firth all the way to St George. Fortrose Bay Campsite is 4 acres of tranquillity on the seashore. It doesn’t matter if you want a grass pitch or one with electricity, there are plenty of choices on offer. Enjoy the sound of rolling waves and the feel of sand on your feet in this idyllic location. No matter where you are, you will be amazed by the wildlife and landscapes. Puffins, seals, otters, and dolphins use the beautiful Scottish coastline as home and it’s easy to see why. Not to mention the huge variety of birds and indigenous species you won’t find anywhere else in the world. 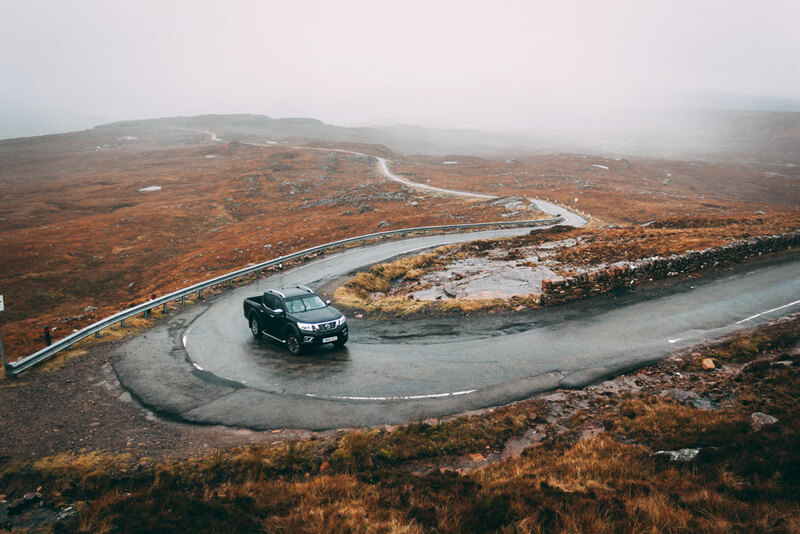 The North Coast 500 is an unforgettable trip of a lifetime. See a nice spot and want to pitch up but you’re not sure on the law? Chances are, it’s absolutely fine. One of the amazing things about camping in Scotland is that you’re allowed to pitch up for the night in most unenclosed land. That, however, doesn’t mean all rules go out the window. Note: Loch Lomond has it’s own set of rules. Make sure to check them out before setting up camp there. Since I do my fair share of promoting Scotland’s incredible landscapes, I also want to make a concious effort to promote good camping etiquette. In this section, I’ll go over how you can do your part in keeping Scotland beautiful as well as respecting wildlife and other adventurers. The Scottish Outdoor Access Code was set in place to provide guidance on the responsibilities of those who love to get out and explore the more rural parts of the country. The guidelines will seem obvious to the concious adventurers amongst us. But, it’s never a bad idea to re-familiarise yourself with the key points. Respect other peopleThis goes without saying - be courteous of others who want to enjoy our amazing landscapes. Equally as important, you should do your best to respect those that live and work on the land. Care for the environmentAlways try to leave the land the way you found it, if not better. As the popular saying goes "take only photos, leave only footprints". You're responsible for your own actionsAdventuring outdoors doesn't come without risk. You are responsible for your own safety. The next time you want that feet/cliff dangling shot - be careful. When it comes to the rules on camping in Scotland revolve around the more universal set of guidelines – the 7 Leave No Trace principles. Although these rules were originally designed for those who explore the more remote places, they can easily be applied to any sort of camping experience. The best part? They’re super easy to follow and by paying attention to them, you’re doing a good thing. I don’t want to bore you to death on in-depth ‘rules and regulations’. For more detailed information on the 7 Leave No Trace principles, REI has produced a fantastic and easily digestible guide. If you’ve managed to read this far – good job. 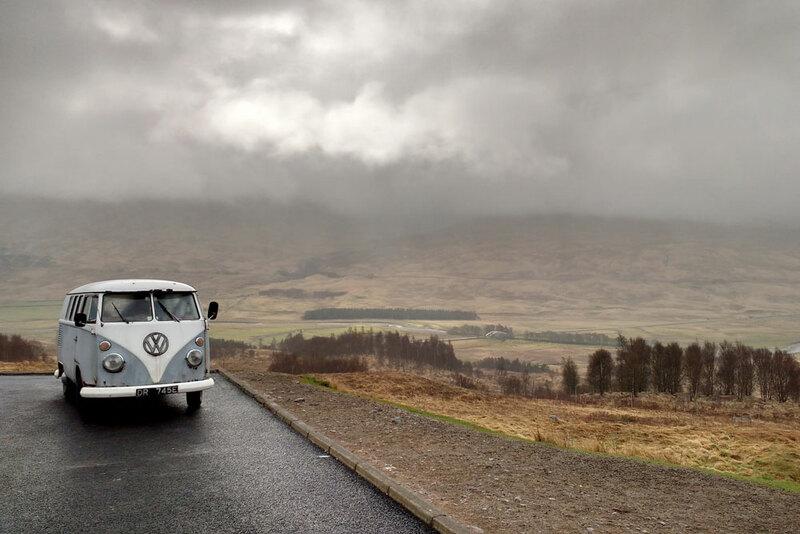 Have you camped along the North Coast 500 route? Let me know where your favourite camping place is in the comments below and I might add it to this article. Great article! I’ve done the NC500 twice, second time in reverse order, and I’ll plan to do it again for sure. But I went of the beat and camped at Achmelvich Bay.. great little site, and amazing views across to Lewis on a clear day/night. Not well known unless your looking for it. Well worth a look. Achmelvich is a beautiful place to camp – I’ve stayed there a couple of times. Also not far from that delicious pie shop in Lochinver! If you’re looking to work with me on a project, be it website design, photography or anything else, feel free to get in touch.